MainAll NewsJewish WorldRemains of Jews Massacred on Temple Mount Found? The remains of thousands of Jews massacred by the Romans on the Temple Mount during the destruction of the Second Temple may have been uncovered, according to veteran archaeological journalist Benny Liss. According to daily newspaper Israel HaYom, Liss screened a video clearly showing thousands of human skeletons in what appears to be a mass grave. Liss "told the amazed audience that the film had been shot in a spacious, underground cavern in the area of the Mercy Gate [Sha'ar Harachamim in Hebrew, a sealed gate in the wall of the Old City, opposite the Mount of Olives, ed. 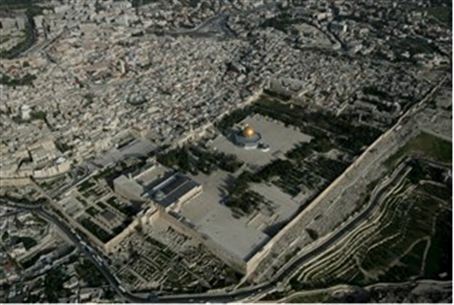 ], near the eastern wall of the Temple Mount, but just outside it," the newspaper reported. Liss raised the possibility that the skeletons were the remains of 6,000 Jews, mostly women and children, killed on the Temple Mount when the Romans destroyed the Second Temple. The massacre is described in the writings of Josephus Flavius, who defected from the Jewish to the Roman side and witnessed the destruction. The movie shows Liss entering the cave, followed by a lighting technician and cameraman. The three first pass through a narrow passage and then enter the cave with the skeletal remains. As soon as Liss left the cave, Antiquities Authority (IAA) staff resealed the entrance to it, he said. Asked why he waited until now to release his findings, Liss said that he was worried that they would "ignite the situation" between Jews and Arabs and wanted to wait for a better time. Senior archaeologists approached by Israel HaYom with photographs of the skeletons said that they were not enough to determine the history of the cave. Samples need to be taken from the site and dated, they said, before deciding that the mass grave holds Jews and not Muslims. The IAA itself said that it was not familiar with the findings.